There are many factors and choices to consider when arranging a burial. As you go through the burial planning process, you may find that you have some unanswered questions. Below, we’ve outlined the most frequently asked questions to help you better understand the entire burial process—before and after the service is complete. If you have additional questions or would like to learn more about planning a burial, please contact us or call 1-800-252-8724. Funerals bring families and friends together in a central location to grieve. Many experts believe that a funeral or memorial service is a necessary step in the healing process, and without the opportunity, some may not face the reality of a death. No two funerals are the same but every service is designed to honor the life lived, provide an opportunity for family and friends to say farewell, and offer condolences and to provide some closure for survivors. 2. What type of service should I have? Visitations, funerals and gatherings are traditions rooted in every culture. These special services provide an opportunity for families to receive support and to grieve together. Having some type of memorial service sets aside a special time to share memories, and reflect after a loved one has died. These gatherings can take place anywhere—from a funeral home to a church to a place of special significance. Read our burial services page to learn more about different types of services. Yes, and at Busch we believe it’s an important part of celebrating a life. We work directly with you and your family to learn about your loved one and your family's beFliefs, and offer ideas designed to deepen the meaning of your tribute. Visit our personalization page to learn more. 4. Should we have an open casket? Choosing to have an open casket is always a personal decision. Many cultures and religions believe it’s an important part of saying goodbye and grief experts believe it can aid in the healing process by recognizing the reality of death. Ultimately, it’s up to you, your family and your loved one’s final wishes. 5. How do I place an obituary notice? Many newspapers allow family members to place an obituary notice. Though, some may require that the notice be submitted through a funeral home. We can assist you in this process for a nominal composition and placement charge. Helping others to cope with the emotional upheaval a major loss brings is a funeral director’s most important job. Funeral directors are experts when it comes to providing comfort, compassion and kindness for grieving families. In addition to bereavement consolation, funeral directors are trained to make funeral planning easier by helping to manage every step of a loved one’s final arrangements. To learn more, visit our page on How a Funeral Director Can Help. 7. What should I do if the death occurs in the middle of the night or on the weekend? Busch is available 24/7 at 1-800-252-8724. If a death has occurred, call us and a member of our caring staff will help you take care of every important detail. 8. How do I obtain a death certificate? The State of Ohio or the county registrar issues certified death certificates where the death occurred. Each state will have its own fees for certified death certificates. In Ohio, registrars charge $22 to $25 for each copy. 9. How many copies of a death certificate will I need? The number of certificates depends on your family and individual circumstances. You will need “certified” death certificates to complete a variety of legal transactions. Filing life insurance (each policy will need a copy). Changing property deeds or titles. Closing bank accounts, IRAs, mutual funds, stocks or bonds. It is usually beneficial to order a few extra copies for unexpected needs. Photocopies are not acceptable for legal purposes. When a death occurs away from home, Busch will serve as your advisor and your agent coordinating long-distance details with other professionals. We belong to a nationwide associate of funeral directors, which enhances our ability to coordinate the legal and practical details of a death away from home. Please read our Death Away From Home brochure for more details. 11. Who will notify the Social Security Administration (SSA)? When any death occurs, the Social Security Administration (SSA) must be notified. Busch will submit the initial notification of death to the SSA office, which informs them of the death. We suggest that the next of kin contact the SSA at their earliest convenience. This will determine how their benefits may change. Additional information is available on the SSA website. 12. Does Social Security ever pay for the burial? Social Security does not pay for final arrangements. While certain survivors may be eligible for a survivor benefit, it is sent to the survivor and cannot be used at a funeral home. There is a $255 death benefit payable only to a surviving spouse or other legal dependent. If there is no legal dependent, the benefit is not available. 13. What is the purpose of embalming? Embalming cleans and preserves your loved one's body, slows the process of decomposition, and enhances the appearance of the body for those who choose to have an open casket. This enables family and friends to view the deceased as they were. Viewing the deceased can be beneficial, especially for those who are having a difficult time facing the death. Embalming also makes it possible to lengthen the time between death and the final resting place. This offers family members time to arrange services to pay tribute to a loved one in the most meaningful way. 14. Is embalming mandatory by law? Each state has its own rules and regulations governing embalming. In the State of Ohio, law does not require embalming. Most common carriers (airlines etc.) require embalming before transportation. The laws of the destination state or country will also apply. Ohio law requires that a body be embalmed, refrigerated or placed in an odor-proof container 24 hours after the death. 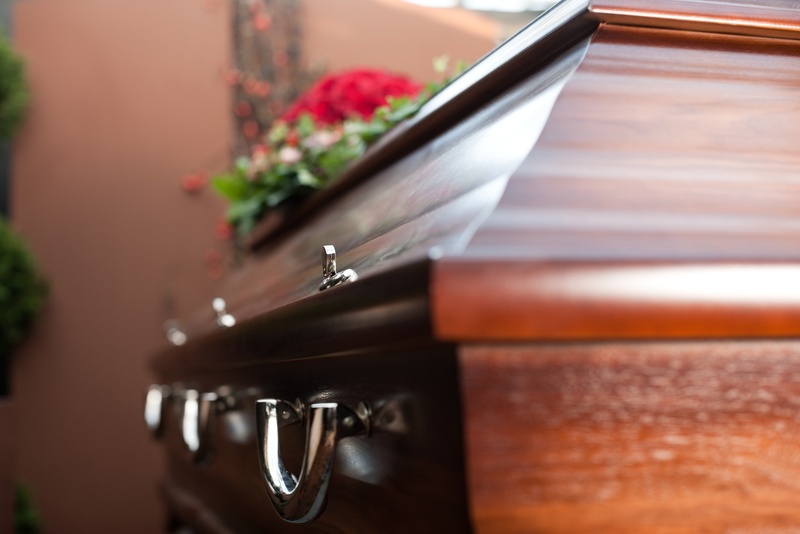 If you select a public service of visitation with an open casket, we do require embalming. 15. How much does a funeral cost? We offer a variety of burial options to best fit your wishes and budget. Visit our burial pricing page for more information. 16. What is a vault and why do I need one? A burial vault, also known as an outer container encloses a casket to help prevent a grave from sinking. They are often made of concrete, wood or steel. Most state and local laws do not require the purchase of an outer container; however, many cemeteries do. Contact Busch at 1-800-252-8724 for help with choosing a local cemetery and/or questions regarding outer burial containers. 17. What is a green burial? The Green Burial organization partners with land trusts, park service agencies and the funeral profession to help consumers get the greenest burial experience possible. This type of "Green Funeral" helps to reducing toxins, waste and carbon emissions. To learn more about green burial options in Northeast Ohio, view our brochure on Foxfield Preserve, a nature preserve cemetery. Or, visit the Green Burial Council website. 18. Does the Veterans Administration (VA) ever pay for burial? The VA does not pay for services unless a death occurs while on active duty. The VA provides either ground burial or entombment of cremated remains. A Veterans' Cemetery is no expense to the veteran. Also, a flag for military honors, an honor guard to present the flag and a memorial maker are provided. To learn about additional benefits that may be available, please visit the Veterans Administration website.